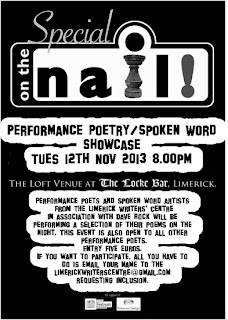 Limerick Writers' Centre presents 'On The Nail Literary Gathering' with guest poets Gene Barry and Joe Sweeney. 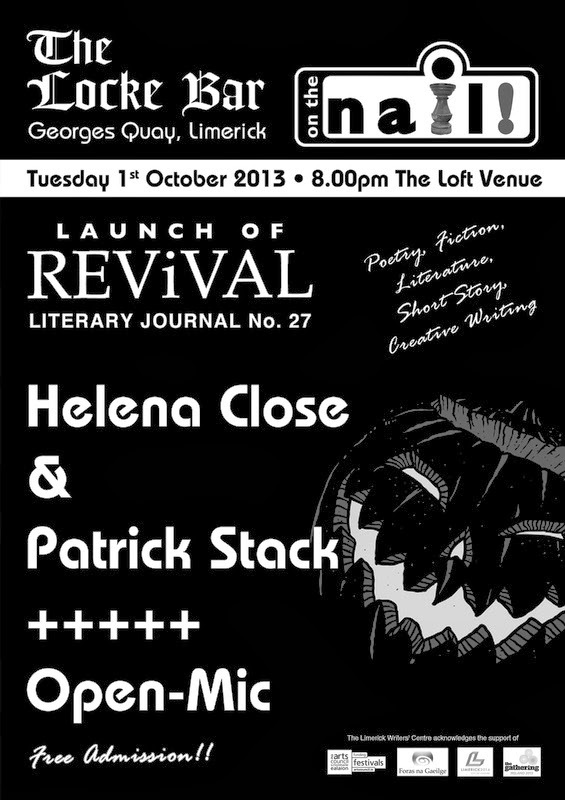 There will also be an open-mic session. ONE of CUISLE Limerick City International Poetry Festival’s several highlights was the launch of ‘The Stony Thursday Book’ compendium on Thursday 24. Edited by Paddy Bushed, he chose 116 poets for inclusion and at The Stony Thursday Book event in 69 O’Connell Street, at least 30 read their works, among them Robin Parmar and Justin McCathy. 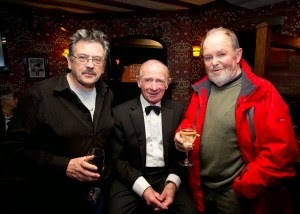 Painter John Shinnors had officiated at the relaxed opening the previous evening in Jerry Flannery’s Bar. Poets who participated in the four day festival included Anthony Cronin, who along with the late Seamus Heaney, is one of only six member of Aosdana elevated to the status of Saoi. Although the launch night appears to have been well attended, it was sad to see the very poor audience for Anthony Cronin at The Belltable, for the closing function of the festival. IRISH writer Nicola White has won the 2013 Dundee International Book Prize, the UK's most lucrative award for debut novelists. She receives the £10,000 (€11,720) cash prize and a publishing deal for 'In The Rosary Garden', a crime thriller inspired by a true case of infanticide in Ireland in the 1980s. Donal, Director of Bloomsday in Bruff, with Anthony Cronin at Cuisle in Limerick on 26th October 2013. Don't miss the wonderful video at the end of this post: scroll down! Anthony Cronin (born 1928 in Enniscorthy, County Wexford) is an Irish poet, novelist, biographer, critic, commentator and arts activist. He received the Marten Toonder Award (1983) for his contribution to Irish literature. He is a founding member of Aosdána, was elected Saoi of Aosdána in 2003 and is a member of its governing body, the Toscaireacht. From 1966-68, he was a visiting lecturer University of Montana and from 1968–70, Poet in Residence at Drake University. He had a weekly discourse, 'Viewpoint', in the Irish Times from 1974–80. 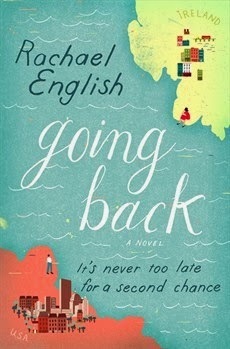 He has written biographies of Brian O'Nolan and Samuel Beckett. Arts activist who persuaded Charles Haughey - he was cultural and artistic adviser to the former Taoiseach - to found Aosdána and support struggling writers, composers and artists with the annuity known as the Cnuas. Involved in organising the first ever Bloomsday celebration. Produced television programmes including ‘Between Two Canals’ and ‘Flann O’Brien - Man of Parts’. Bloomsday (a term Joyce himself did not employ) was invented in 1954, on the 50th anniversary of the events in the novel, when John Ryan (artist, critic, publican and founder of Envoy magazine) and the novelist Brian O'Nolan organised what was to be a daylong pilgrimage along the Ulysses route. They were joined by Patrick Kavanagh, Anthony Cronin, Tom Joyce (a dentist who, as Joyce's cousin, represented the family interest) and AJ Leventhal (Registrar of Trinity College, Dublin). Ryan had engaged two horse drawn cabs, of the old-fashioned kind, which in Ulysses Mr. Bloom and his friends drive to poor Paddy Dignam's funeral. The party were assigned roles from the novel. They planned to travel round the city through the day, visiting in turn the scenes of the novel, ending at night in what had once been the brothel quarter of the city, the area which Joyce had called Nighttown. The pilgrimage was abandoned halfway through, when the weary pilgrims succumbed to inebriation and rancour at the Bailey pub in the city centre, which Ryan then owned, and at which, in 1967, he installed the door to No. 7 Eccles Street (Leopold Bloom’s front door), having rescued it from demolition. A Bloomsday record of 1954, informally filmed by John Ryan, follows this pilgrimage. Joyce’s first published book was Chamber Music, a collection of 36 love poems. His poetry was noticed by Ezra Pound and T.S. Eliot and included in Pound’s influentialImagist Anthology of 1914. Pound wrote of Chamber Music: “the quality and distinction of the poems in the first half … is due in part to their author’s strict musical training … the wording is Elizabethan, the metres at times suggesting Herrick.” Known as a lyric poet, Joyce based some of his poems on songs. His poems have been set to music by composers including Geoffrey Moyneux Palmer, Ross Lee Finney, Samuel Barber, and Syd Barrett of Pink Floyd, as well as the group Sonic Youth. 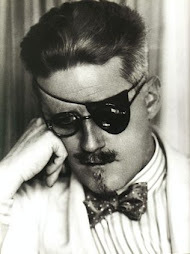 Despite his poetic success, Joyce is better known as a novelist, and by 1932 he had stopped writing poetry altogether. 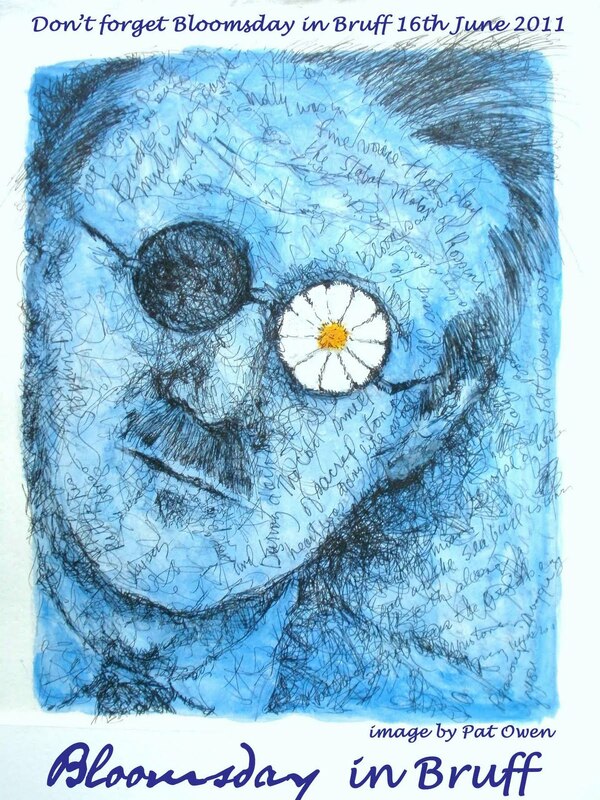 An early Bloomsday in France! An early Bloomsday celebration was the Déjeuner Ulysse at the appropriately named Léopold Restaurant in Les Vaux de Cernay, near Versailles. It was organised by Sylvia Beach, publisher of Ulysses, and her partner, Adrienne Monnier, in June 1929, to celebrate the first French edition of Ulysses. Among the guests were some of the most prominent figures in French literature at that time: Léon-Paul Fargue, Eduard Dujardin, Paul Valéry, Jules Romains, and Philippe Soupault. Also in attendance was Samuel Beckett, though he does not appear in the photograph. The ‘On the Square’ Open-Mic Music Session, upstairs in The Square Bar, St John’s Square, Limerick is situated in the heart of Limericks new artistic quarter. The session, hosted by Sean MacLeod, takes place every second Thursday at 8.30pm and welcomes musicians and singers to perform either their own original material or their favourite songs. Each session we present a special guest performer who will entertain the audience, this week, Thursday 17th October, we welcome Limerick singer/songwriter Niall Quinn, former drummer with The Hitchers. This year the Cuisle Limerick City International Poetry Festival will feature evening performances by Anthony Cronin, Biddy Jenkinson, Macdara Woods, Hugh Maxton, David Wheatley, Adam Wyeth, and Jo Slade. We especially welcome poets from our partner festivals, which this year is extended to Italy. Veronika Dintinjana (Slovenia), John Davies (UK), and Marco Viscomi (Italy) will be bringing their talents to Limerick. 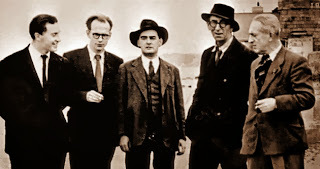 First Bloomsday Celebration: Bloomsday(a term Joyce himself did not employ) was invented in 1954, the 50th anniversary, when John Ryan and the novelist Flann O'Brien organised what was to be a daylong pilgrimage along the Ulysses route. They were joined by Patrick Kavanagh, Anthony Cronin, Tom Joyce (Joyce’s cousin and the only family representative that Ryan could find) and AJ Leventhal (Registrar of Trinity College, Dublin). A Bloomsday record of 1954, informally filmed by John Ryan, follows this pilgrimage. Limerick City of Culture 2014 funding to the tune of €6 million in Budget. Finance minister Michael Noonan said he was “very pleased to announce that €6 million funding has been provided to the Limerick City of Culture 2014 project”. “Limerick city was chosen as Ireland’s first ever City of Culture and I am sure that the project will be a resounding success,” he explained. “The Limerick City of Culture 2014, together with my decision to reduce VAT to 9% in the tourism and hospitality sector and to reduce the air travel tax to €0 will attract thousands of new visitors to the city. 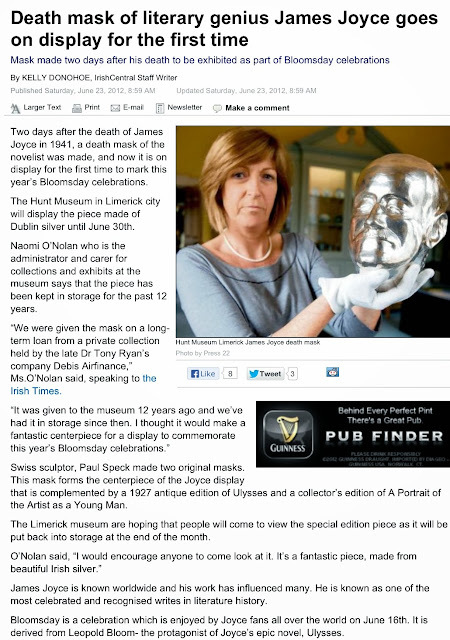 The announcement draws to a close months of speculation about funding for the project, which was announced by arts minister Jimmy Deenihan in July 2012. New Zealand author Eleanor Catton becomes the youngest ever winner of the £50,000 Man Booker Prize for her novel The Luminaries, which is also the longest to win in the prize's history. Historian and biographer Anthony Jordan, delivered a talk entitled ‘James Joyce and Arthur Griffith’ at the James Joyce Centre on Monday 14 October . Anthony is the author of fourteen books of which many are first biographies of important Irish historical figures such as: Major John MacBride, Sean MacBride, Conor Cruise O’Brien, Christy Brown, WT Cosgrave, Eamon de Valera, and John A Costello. He also written two books on the relationship between WB Yeats, Maud Gonne and John MacBride, and published an autobiography The Good Samaritans – Memoir of a Biographer. His latest book is called Arthur Griffith with James Joyce & WB Yeats: Liberating Ireland. He has also written pieces for publications such as the Irish Times. He lives in Dublin but is a native of Mayo and holds an All Ireland Football Colleges medal. He also organises an annual celebration of WB Yeats in Sandymount. Joyce and The Importance of being Earnest! From fretted skin, the hollow landscape of his face. Strode lonely down the bright meridians of fame. Harsh yearnings hurt wilfully and cold wind rips. Spurting through stoney clouds, outside, away from him. And yet those eyes knew life's repeated thunder once. Tumult of images, city roaring and blind. Leaped wild through his head with a hard, choking wonder. Stumbling to expression in dark streets of his mind. Breaking with full flowers can equal, or we forget. The Sean Wall Committee are sad to record the death of our friend and colleague Mr. Michael J. Noonan. Those of us privileged to work with Michael over the years saw at first hand his outstanding commitment to the service of his community. Michael was Secretary of the main Sean Wall Committee, The Sean Wall Memorial Committee, Sean Wall Restoration Co. Ltd and Bruff Housing Co. Ltd. Michael was also a most enthusiastic member of the Bloomsday in Bruff Committee. The saving and restoration of the Old RIC Barracks and the beautiful restoration of The Church of Ireland are two fine examples of his legacy to the community in Bruff. The construction of five housing units at the rear of the barracks are also a result of his energy and commitment. His work with the Sean Wall Memorial Committee ensured that due respect was accorded in our community, every Easter, to those who fought and died in our fight for freedom; likewise an annual ceremony at the republican plot in Grange. Michael was one of the original committees members that established what is now the fine GAA Sports Ground in Bruff. He worked tirelessly to support the work of Margaret Shaughnessy at Foynes Flying Boat Museum. He was a director of Ballyhoura Community Development Co. Ltd and a Director of Carebright Company, working for care in the community. We who worked closely with him, were very aware of the many kind and compassionate deeds, performed quietly and privately for those who sought his help. Until relatively recently we were also in awe of his energy and determination, to see a project through, to attend all meetings of the various committees. Donal Thurlow PRO for the Sean Wall Committee said “Michael adopted the technology of the mobile phone with enthusiasm, and was an avid texter! He would ask you to see to a certain task. He would phone the next day.....to see how you were... and to check that you had completed the task. If you had not he would follow up your progress with a relentess energy; you soon learnt that it was easier to see to Michael’s tasks promptly! It has been a daunting task to cover for Michael in recent months as Acting Secretary. I have become more aware than ever of the amount of work he got through. Michael was a compassionate man of great integrity; we were privileged to have him as a colleague and as a friend. Behind the scenes at filming of Dubliners short story "Two Gallants"
Centenary of publication of Dubliners next year ! Dubliners is a collection of 15 short stories by James Joyce, first published in 1914. They form a naturalistic depiction of Irish middle class life in and around Dublin in the early years of the 20th century. The stories were written when Irish nationalism was at its peak, and a search for a national identity and purpose was raging; at a crossroads of history and culture, Ireland was jolted by various converging ideas and influences. 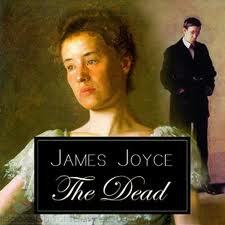 They centre on Joyce's idea of an epiphany: a moment where a character experiences self-understanding or illumination. Many of the characters in Dubliners later appear in minor roles in Joyce's novel Ulysses. The initial stories in the collection are narrated by child protagonists, and as the stories continue, they deal with the lives and concerns of progressively older people. This is in line with Joyce's tripartite division of the collection into childhood, adolescence and maturity. A pause in celebrations for this year! 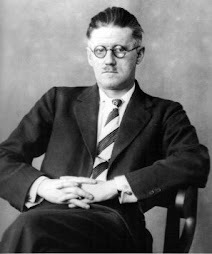 I am sorry to have to inform all, that the major celebration of Bloomsday in Bruff will not take place this year. We are pausing this year. There are various reasons for this, some way out of our control. This does not of course mean that we will not return. 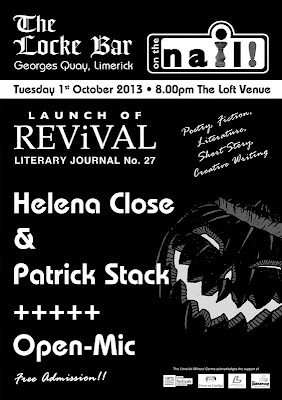 We WILL return next year as Limerick City starts to celebrate City of Culture status. There may well be some small events in and around 16th of June, both public and private. The absence of Bloomsday in Bruff this year creates some space in a crowded community calendar; this will allow time, energy and finance to be targeted to other festivals, in particular the Gathering celebrations starting on the 1st July. The Bloomsday group will return with energy and vigour in the new year with a major event in January 2014! 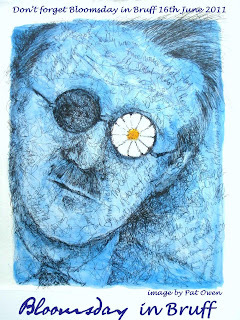 James Joyce in Bloom with help of Limerick National School! metres across made with 23,000 tulip and grape hyacinth bulbs. Saint Michael's National School in Limerick. 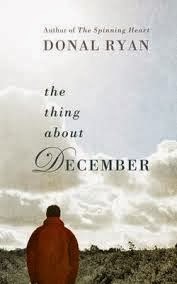 We are starting the Reading Group this month......... and starting with the Short story "The Dead" from Dubliners... email or phone for further info. The aim and ethos is a relaxed non-expert group...... venue may be the Church of Ireland Building, Main Street, Bruff. Conversation and introduction may include showing of part of the John Heuston film. More details next week. JOYCE HOUSE, the fictional Morkan sisters' home. 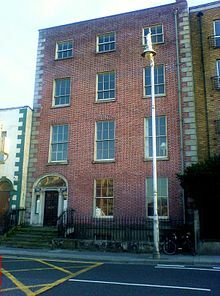 15 Usher's Island, Dublin.